One of the designers not only showcased his collection, but also his dance moves ending in a split on the runway. Earl Battle is the designer for the line Battle Designs. His collection was featured on the runway not only during opening night, but also the second night of fashion weekend. Three collections were put together, and showcased this past weekend. His inspiration came from fruit and chocolate, an Italian painting from the 18th century and the theme tough but classy. One of the items that caught my eye was a long, leather cape. This the tough, but classy collection, and was tastefully showcased. Rimma Zaika the designer of Wearable Arts collection creates one of a kind hand made contemporary knitwear. Her inspiration comes from the techniques used back in Russia. "The colors in the collection are very colorful, and come from what people wore when I was young. I'm sick of seeing black everywhere," says Zaika. When first starting, Zaika worked with crochet elements, and now shes transforming into lace. Her designs are full of history, festive, vibrant and are overall uniquely alive. My favorite designer of the night was the collection from Likoba. Models walked the runway with clean, crisp and chic jumpsuits.The designers inspiration comes from growing up in France, and always watching her mother dressing with sophistication. Likoba specializes in jumpsuits. "Jumpsuits are simple. When you wake up you'll find pants and not know what shirt to pair with it. With a jumpsuit it's easy. You don't have to waste time," says Likoba. Jumpsuits make women look very sophisticated, tall and confident. No matter what you are dressing for you can put a jumpsuit on, and fit every category. "I want to perfect it, and be known as the go to for jumpsuit designers," says Likoba. Another designer to hit the runway was Marie Luce. Luce's passion has always been to make little girls feel like princesses. All of the dresses are designed with quality fabrics, laces, embroideries, beading and trim with an artistic style and attention to detail. Marie Luce focuses on designing for ladies 2-14. During the New Hampshire fashion weekend her collection was featured on the runway with sophisticated dresses for any major event. With New Hampshire fashion weekend come and now gone I would say it was a success. Although mentioning a few, all of the designers joined together to celebrate fashion. 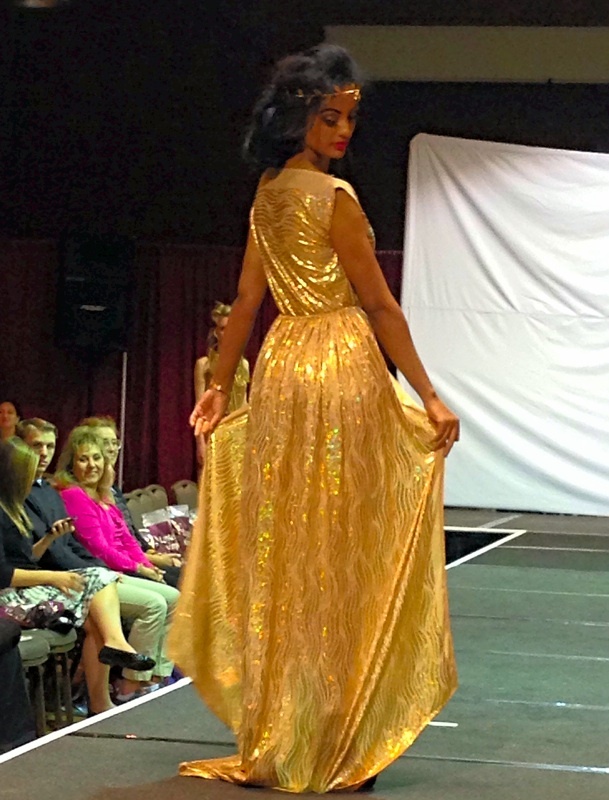 This was a first for the New Hampshire Fashion Weekend, but New Hampshire is on the road to fashion.